Smoothies for Breakfast: Yes or No? Smoothies (or “shakes,” if you prefer the manly name for your blended-fruit concoctions) have a nearly-undisputed place at the top of the “healthy breakfast” pantheon – but then again, so do granola and oatmeal! Once you get past the idea that fat is bad and anything vegan is healthy, smoothies start to look a lot less obviously perfect. That’s not to demonize them: for the right person, the right smoothie can be a perfectly fine choice. But the qualifiers are important: not all smoothies are healthy, and even the ones that are, aren’t necessarily right for everyone. As an illustration, let’s start with a hypothetical cranberry-orange smoothie made out of “healthy” ingredients (no added sugar! All natural!). We’ll toss in ½ a banana, 1 clementine, a handful of cranberries, and 1 date, plus the ice and some seasonings. It sounds like something you might buy in a fancy health-food store, but this smoothie isn’t actually as “healthy” as it claims to be: here’s why, and how to fix it. The first problem with our “healthy” smoothie is the macronutrient composition. Macronutrients are nutrients that we need in quantities large enough to measure in calories. The three macronutrients are protein, carbs, and fat. All three have different metabolic effects (that’s one reason why just calorie-counting isn’t a good idea, because it treats all calories as equal even though calories from different macronutrients have very different physical effects). 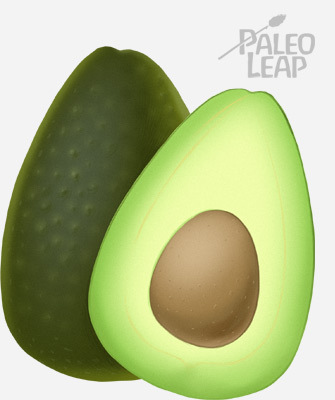 If you’re eating Paleo, a “meal” must include protein and fat. If it doesn’t have both protein and fat, it’s not a meal. But if you look at our “healthy” smoothie, it has almost no protein and almost no fat. It’s all carbs, and 2/3 of the carbs are from sugar. Specifically, in 47 grams of carbohydrate, 32 are sugar. From a metabolic perspective (the breakdown of protein, carbs, fat, and calories), our “healthy” smoothie is very similar to two fun-sized packs of Skittles (36 grams of carbohydrate, of which 30 are sugar, almost nothing else) or 8 Tootsie rolls (46 grams of carbohydrate, of which 30 are sugar). Metabolically, you’re eating candy for breakfast. Expect the exact same energy crash, sugar cravings, blood sugar swings, and crankiness later. But wait, you say! The sugar is all from natural sources! And the smoothie has micronutrients to go with that sugar! It’s much healthier than eating 8 Tootsie rolls for breakfast. That’s all true, but sugar is sugar regardless of where it comes from, and micronutrients can’t substitute for macronutrients. Your body needs protein and fat in every meal. Getting a lot of Vitamin C doesn’t change that. This smoothie does not begin to qualify as a “meal” until you add some protein and fat to it, not to mention some more calories. How to fix it: reduce sugar; add protein and fat. Don’t sweeten your smoothies with dates, honey, maple syrup, or anything else that adds a lot of sweetness with very little volume. The one date in this smoothie adds half the sugar. Focus on lower-sugar fruits, like berries, as the base of your smoothies. If you want to add bulk, experiment with adding greens instead of more fruit – you can get away with a lot of spinach before you change the taste. What about protein powder? Commercial protein powders aren’t great for you. It’s better to find another source of protein. Alternately, you could eat your smoothie alongside a different source of protein and fat. For example, you could have scrambled eggs and a smoothie for breakfast, instead of just the smoothie. Or enjoy smoothies as a dessert, after you’ve already eaten three meals based on protein and fat. “Satiety” means how long a meal makes you feel full until you’re hungry for your next meal. Unless you like being hungry every hour or two, you probably want to eat meals that are satiating – filling enough to tide you over until your next meal. All sugar with no protein or fat: you’ll be hungry again in an hour. Not nearly enough calories for an actual meal: this is an absurdly tiny “breakfast” by itself. Realistically, most people would eat twice that serving size – but that just compounds the “too much sugar; no protein or fat” problem. OK, but what if you improve it by adding more protein and fat, and cutting down on the sugar? Macronutrient-wise, now you’re looking pretty good. On paper, this is a completely balanced meal. But hold up: you’re still drinking your breakfast. Satiety depends on all kinds of things – liquid calories are much less satiating than solid ones, even if the macronutrient content is exactly the same. (Just to cite one study, here’s a test where jelly beans were more satiating than soda, even though both are basically nothing but refined sugar). For some people, drinking a healthy smoothie with plenty of protein and fat might be enough; for other people, it just won’t do the trick no matter how they tweak the macros. How to fix it: know yourself. If you can have a liquid breakfast and be full until lunch – great! If you can’t, it might not be anything about the smoothie. It might just be the way your body is set up, and fiddling around with the particular smoothie recipe you use is not going to help. The only answer is to bite the bullet and eat something else for breakfast. But I Need Breakfast on the Run! Stuck for options without relying on a smoothie to jump-start the morning? Try one of these 8 make-ahead breakfast recipes that you can just grab and go. They’re all heavy on the fat and protein, and all solid food, so they solve all the problems with smoothies. You won’t even have to clean your blender! If you base your smoothie on protein and healthy fats instead of just sugar, and if you’re one of the people who can feel satisfied on a smoothie all morning, then a smoothie can be a healthy breakfast choice. But just blending fruit and ice doesn’t come anywhere near a Paleo breakfast. 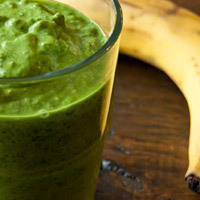 If you can modify your smoothie recipe to be more Paleo-friendly, great! If not, there are plenty of other make-ahead breakfast ideas that you can grab for busy mornings without relying on smoothies at all.